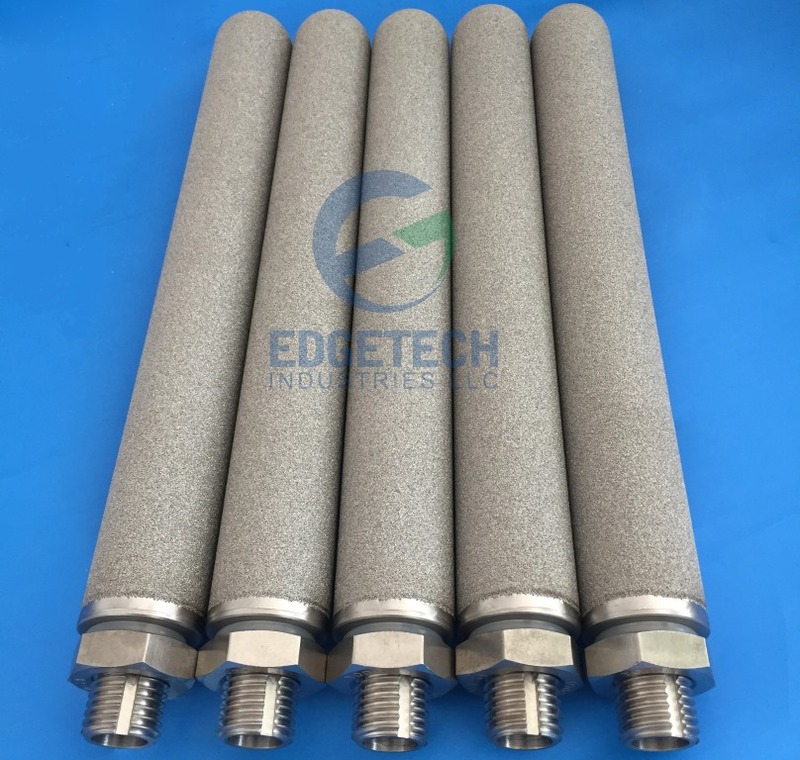 Porous titanium (sintered titanium, titanium foam) is in many fields, as pharmaceutical industry, water treatment industry, food industry, biological engineering, chemical industry, petrochemical industry, metallurgical industry and gas purification, etc. 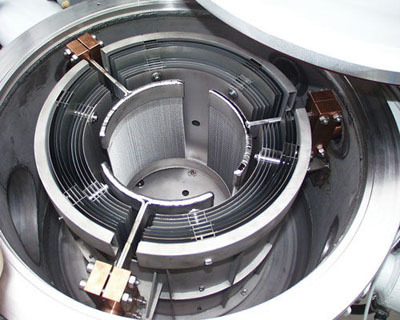 Porous titanium also can be used as Gas Diffusion Layer (PDL) in new generation fuel cells (PEMFC). 1. Uniform structure, narrow pore size distribution, high separation efficiency. 2. High porosity, low filtration resistance, high penetration efficiency. 3. High temperature resistance, normally can be sued up to 280 degrees. 4. Good chemical stability, acid and alkali corrosion, antioxidant properties. 5. No particle shedding, no secondary pollution to the media, suitable for food hygiene and pharmaceutical GMP requirements. 6. Good mechanical properties, can be used in suction & pressure filtration. 7. Low pressure drop, small footprint, large flow. 9. The overall length of up to 1000 mm without welding. Application of porous titanium based on above properties. -Porous titanium sheet & porous stainless steel sheet can be used as gas diffusion layer (GDL) in Polymer-Electrolyte-Membrane Fuel Cells (PEMFC). -Porous Titanium sheets & tubing can be assembled as titanium filter, can be used for filtration under high temperature & corrosive environments. 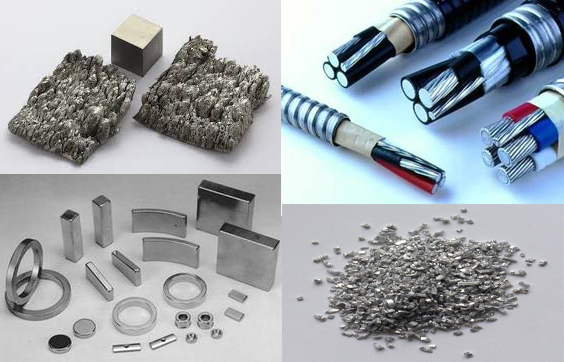 The mainly product we provide for porous titanium is porous titanium & micro-porous titanium sheet & disc, and porous titanium tube. We provide porous titanium tubing made titanium filter assemblies. We provide porous titanium sheet with wide range of filtration precision and dimensions. Porous titanium sheets are used as filter and Gas Diffusion Layer in new generation fuel cells. 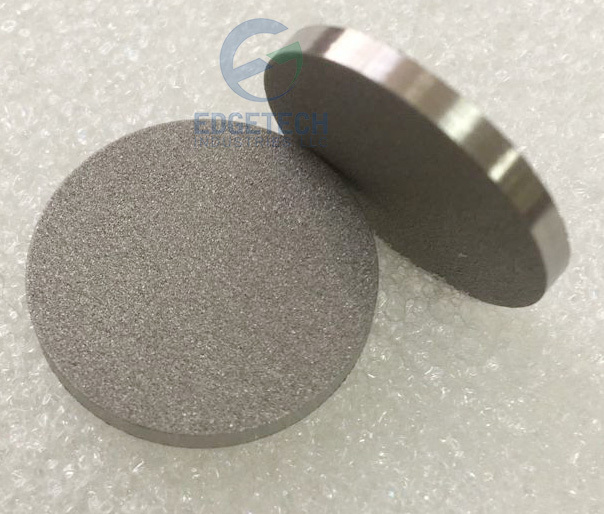 We provide porous titanium disc with wide range of filtration precision and dimensions.Porous titanium is used as filter & Gas Diffusion Layer in new generation fuel cells (PEMFC). We provide porous titanium tube with wide range of filtration precision and dimensions. Porous titanium tube with one end closed is also available on request. Porous titanium filter is used in many fields, as pharmaceutical, water treatment and food industry, biological engineering, chemical industry, petrochemical industry,etc.